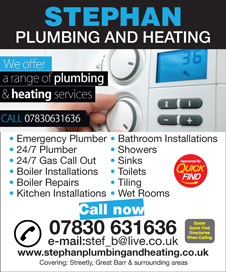 Streetly Gas & Plumbing are a Quick Find directories vetted and approved local business with over 25 years experience covering Streetly, Great Barr and surrounding areas. 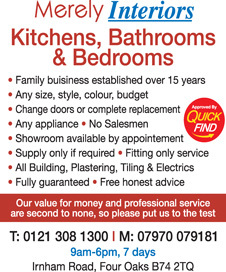 Approved and recommended by Quick Find Directories, Pauls Garden Services is a fully insured local trusted gardener in Streetly, Great Barr and surrounding areas. 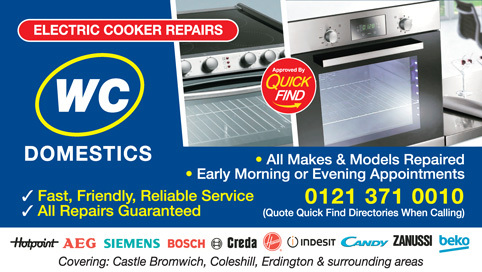 Approved and recommended by Quick Find Directories, Dirty Ovens R Us are a local trusted trader in Tamworth, Sutton Coldfield, Streetly, Shirley Birmingham and surrounding areas. 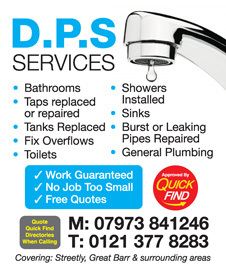 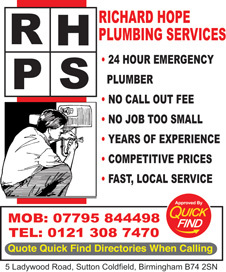 Approved and recommended by Quick Find Directories, DPS Services are a local trusted plumber in Streetly, Birmingham and surrounding areas. 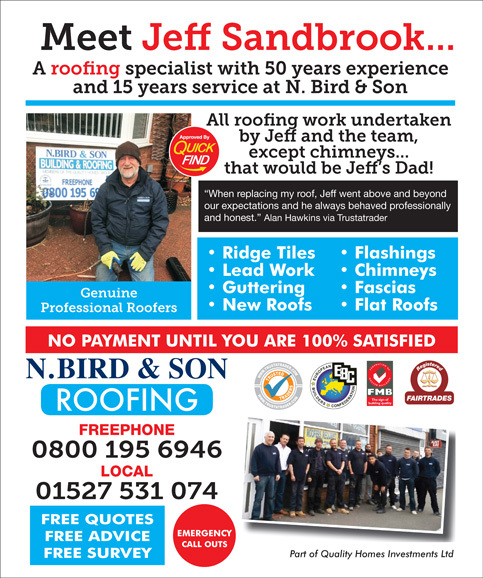 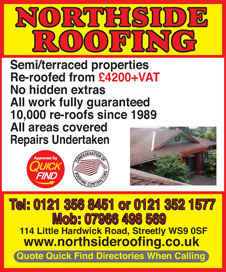 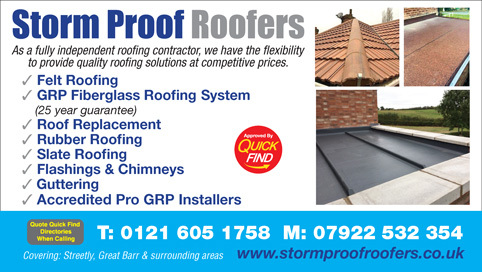 Approved and recommended by Quick Find Directories Balmoral Roofing are a local trusted roofer in Great Barr, Streetly and surrounding areas. 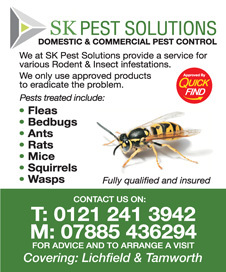 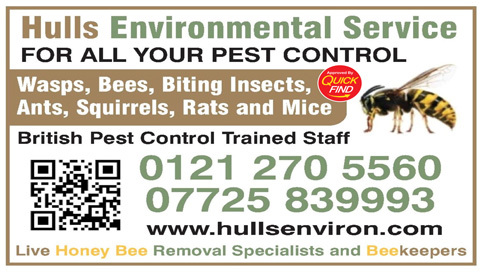 Approved and recommended by Quick Find Directories, SK Pest Solutions covering all pest issues. 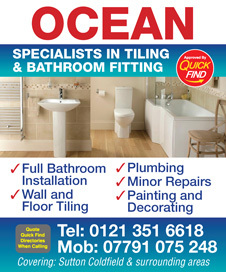 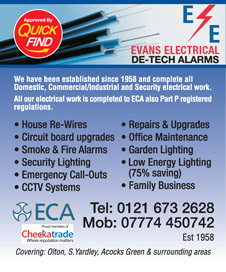 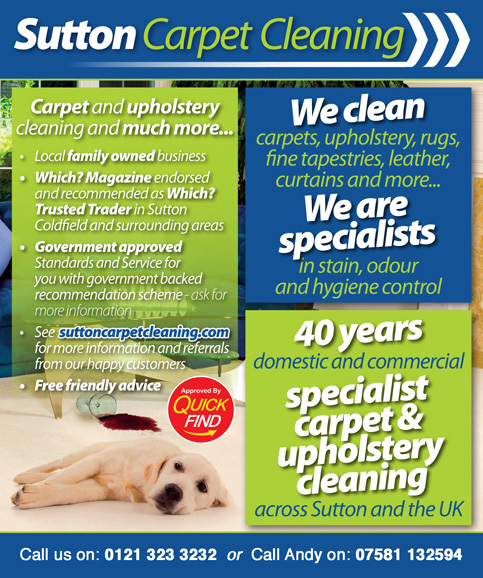 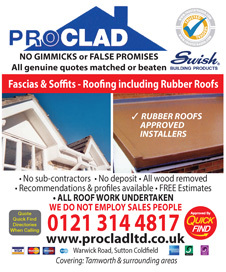 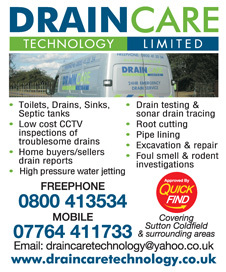 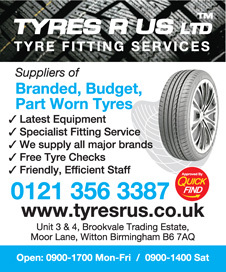 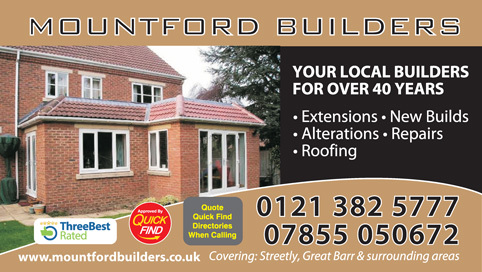 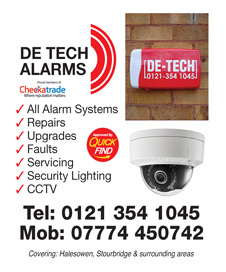 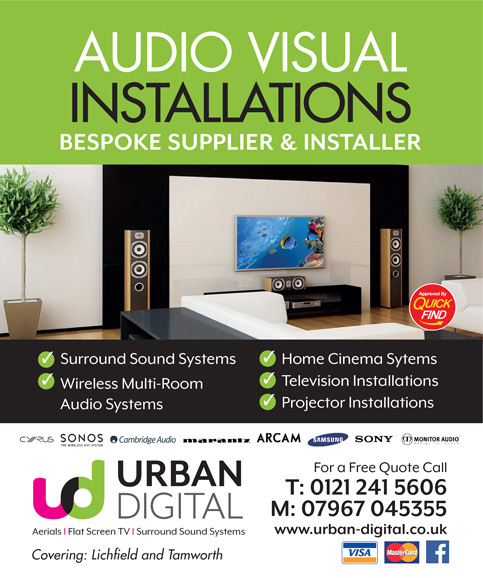 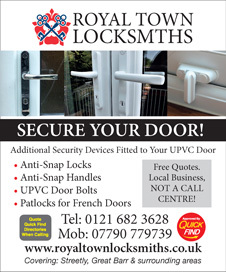 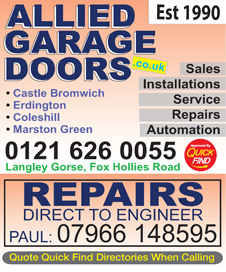 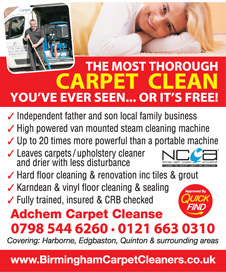 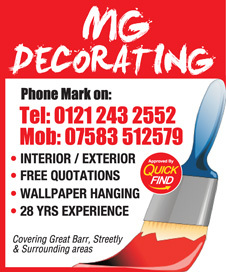 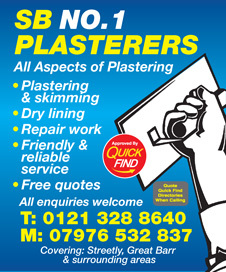 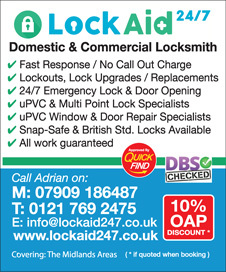 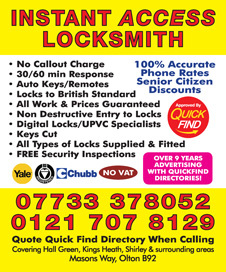 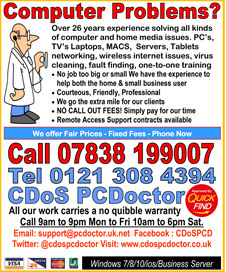 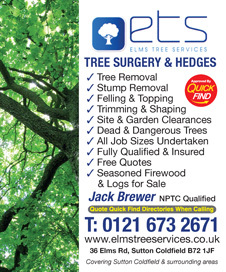 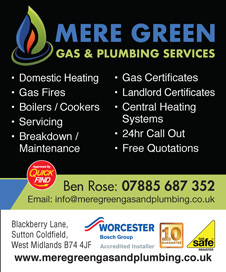 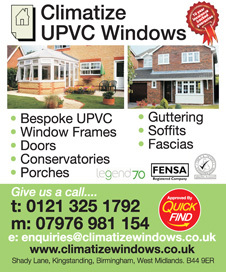 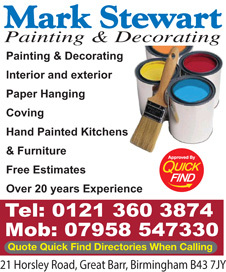 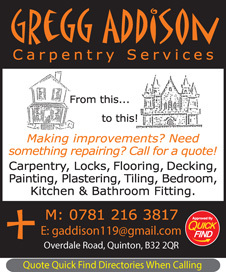 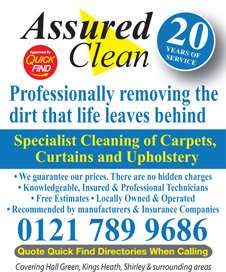 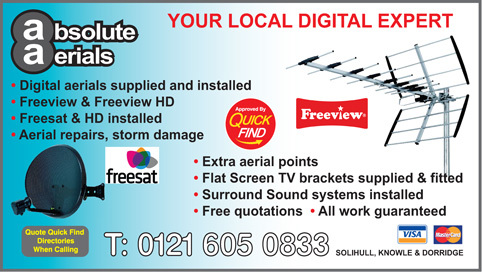 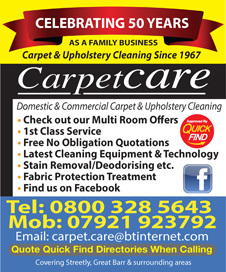 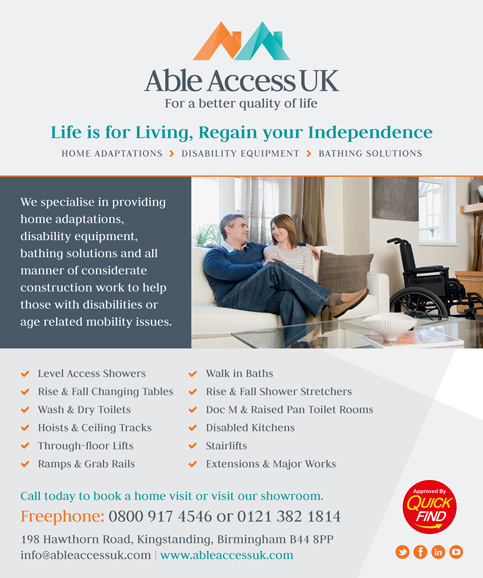 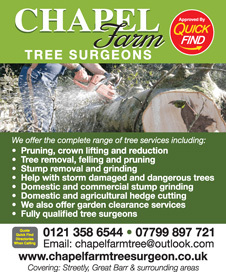 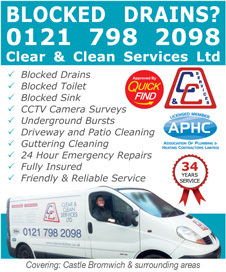 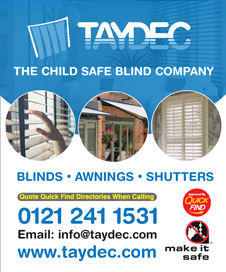 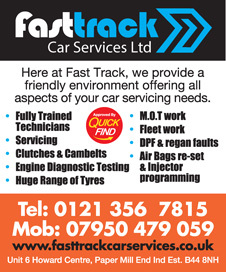 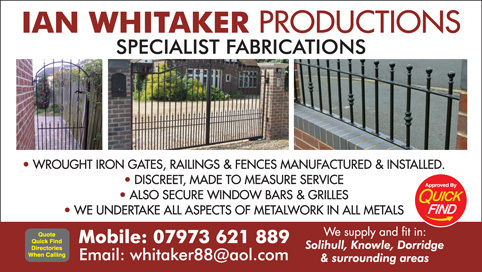 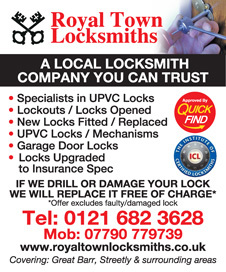 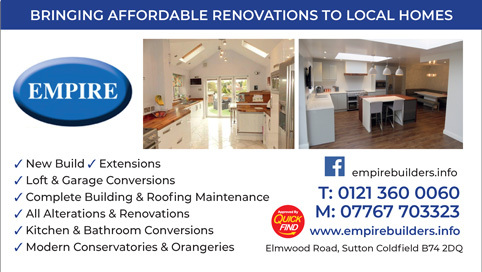 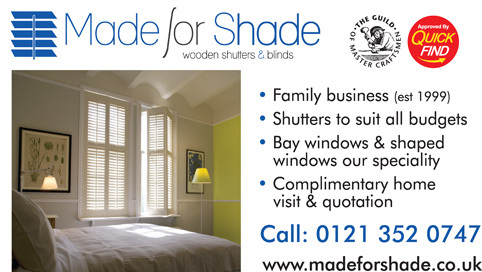 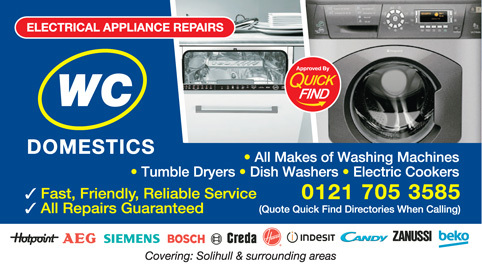 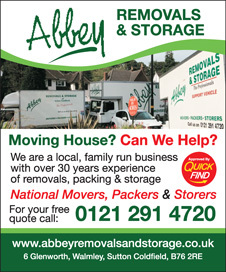 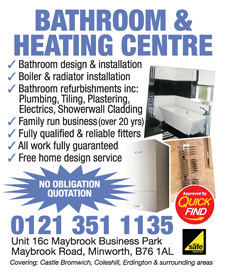 A local trusted trader in Streetly, Tamworth, Birmingham and surrounding areas. 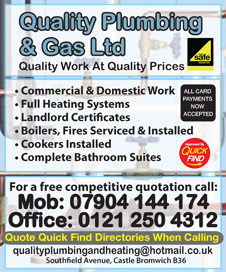 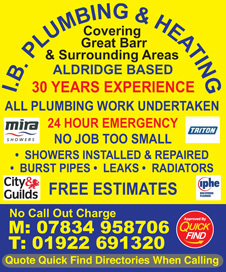 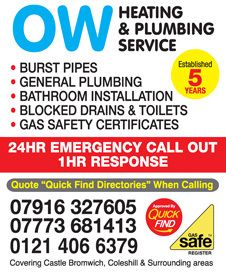 Approved and recommended by Quick Find Directories, IB Plumbing and Heating are a local trusted plumber in Streetly, Birmingham and surrounding areas. 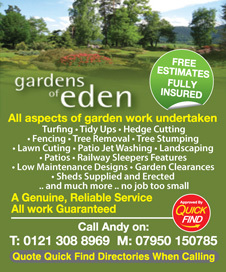 Approved and recommended by Quick Find Directories, Gardens Of Eden are a local trusted gardener in Streetly, Great Barr, Birmingham and surrounding areas. 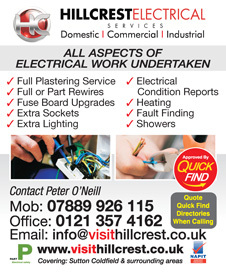 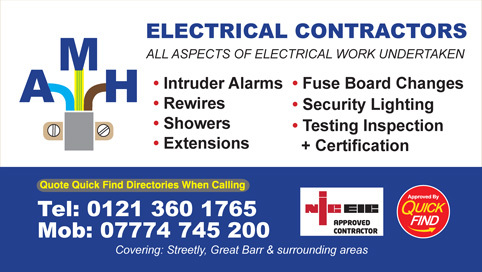 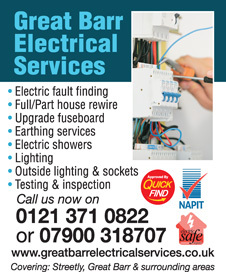 AMH Electrical are a Quick find Directories checked and vetted, NICEIC registered local electrician in Great Barr, Banners Gate, New Oscott, Streetly and surrounding areas. 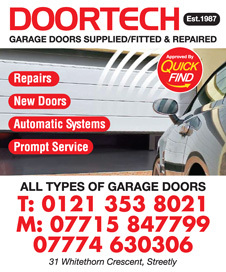 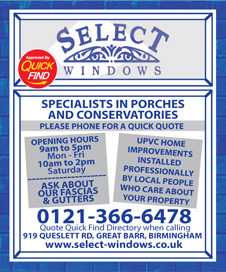 Approved and recommended by Quick Find Directories, Doortech are a local trusted trader in Streetly, Sutton Coldfield and surrounding areas. 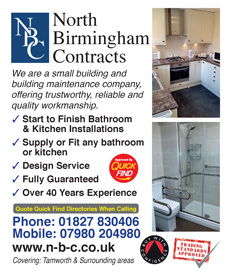 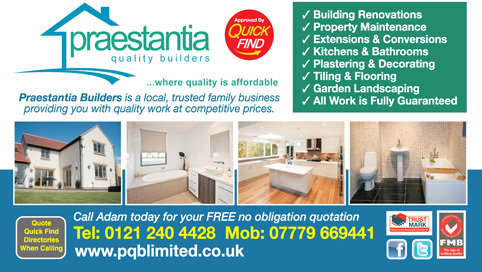 Quick Find Directories approved and trusted builders in Great Barr and Streetly, Praestantia Quality Builders, provides a complete design and build service for all of your Home Improvement needs. 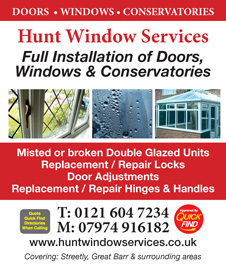 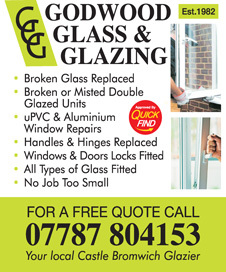 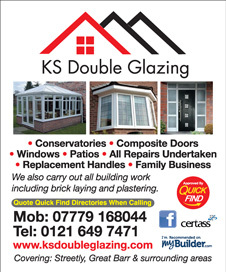 Double Glazing Maintenance specialise in double glazing repairs across Castle Bromwich, Coleshill, Erdington and surrounding areas. 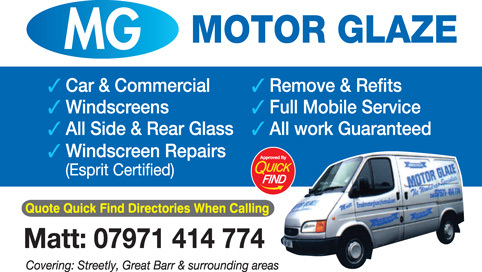 A local business vetted and approved by Quick Find Directories.